engaged in this and we call on all schools not to get involved. 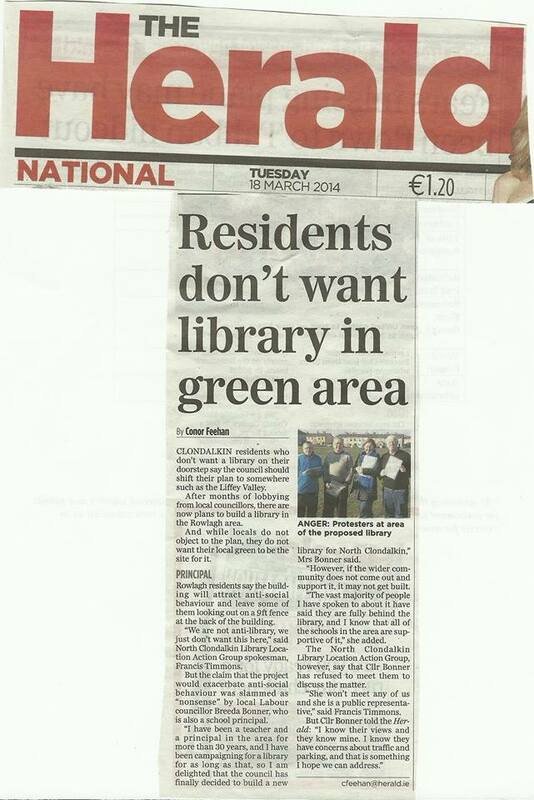 least, to get some Councillors and any TD’s to meet the group. Ministers to actively engage with the Library Location Group. 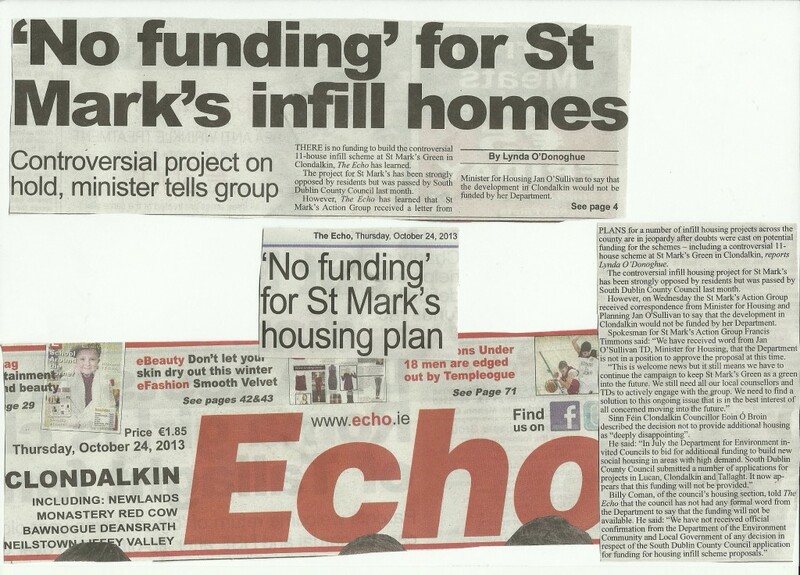 to build on the “Green Space” dividing the two estates. Group” on Friday 7th February. 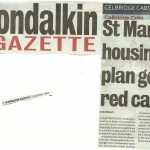 two estates to keep the residents informed of developments. 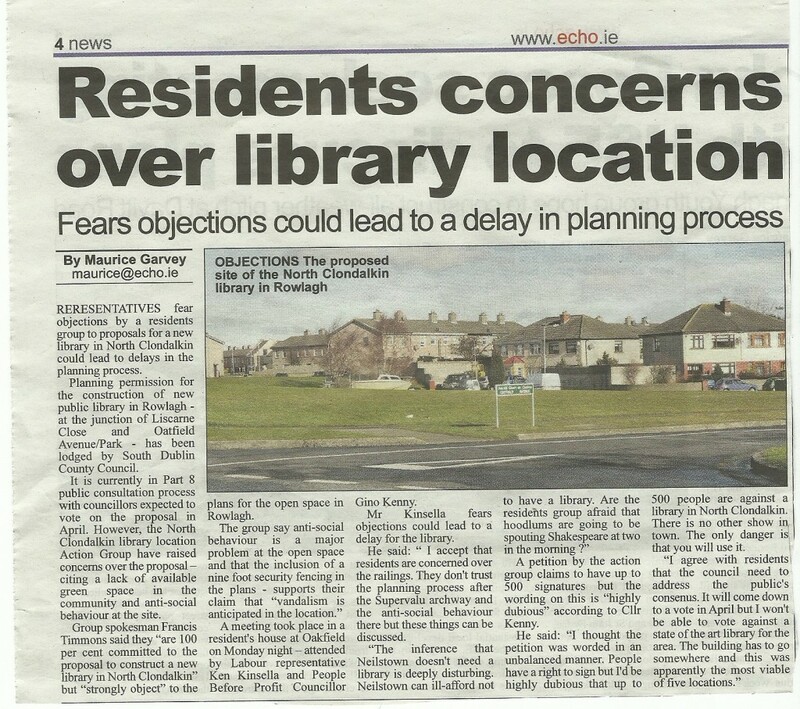 develop “Submissions” to be handed to our local representatives. 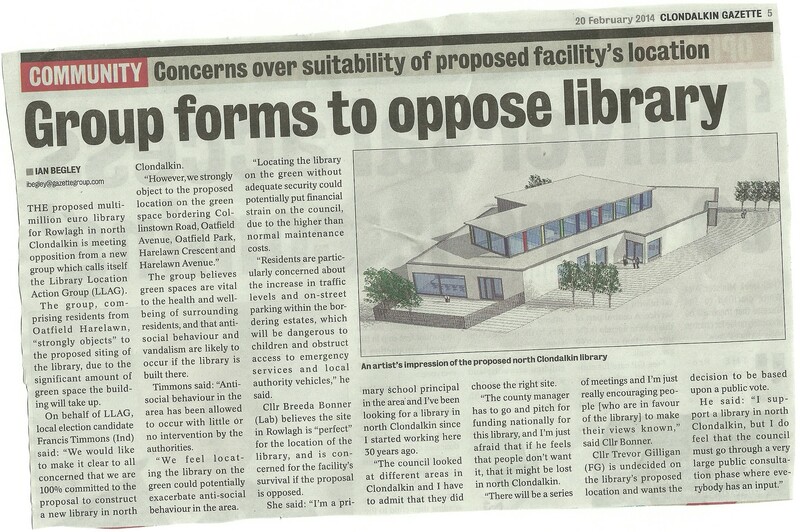 Articles in this weeks Clondalkin Gazette Newspapers and The Echo Newspaper Just to clarify No one is objecting to a Library in North Clondalkin its the site that people are objecting to. The objections are clear and unambiguous. Neighbourhood/Landscape: Residents in the estates bordering the “green” purchased their properties and endured many years of heavy mortgage repayments based on the expectation that landscape would mature but not change drastically. 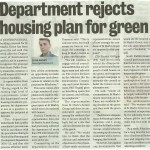 The location of the green was an important deciding factor in their initial decision to purchase and settle here. 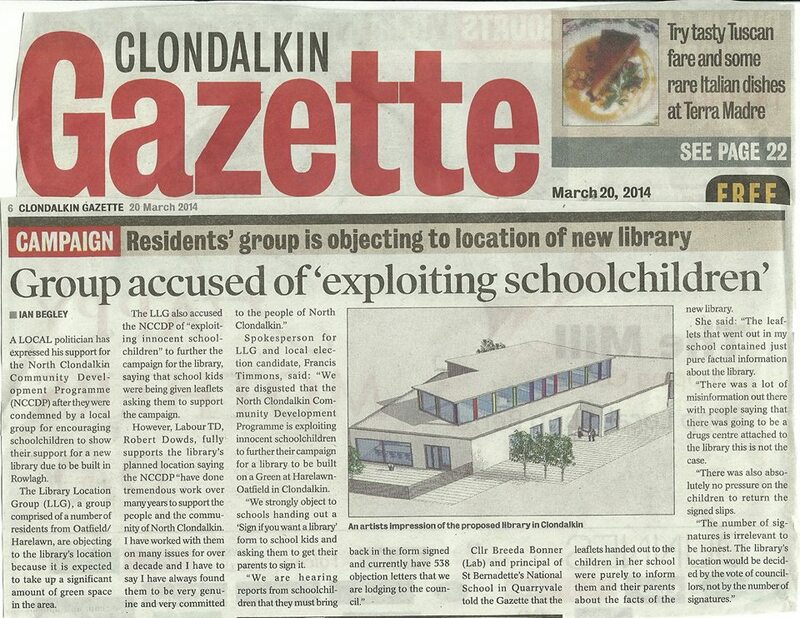 Mental health: the rates of depression and suicide are very high in north Clondalkin. Open spaces like this are vital to the health and well-being of the surrounding residents. Open spaces help people relax and escape from oppressive built up areas. 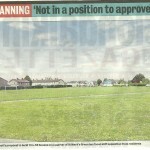 This will have the greatest impact on the residents of Oatfield park who currently have an open unobstructed view.